As many people will tell you, there are almost too many beautiful sights and tourist spots in Venice to fill your day with. But if there’s one cultural spot you’d be crazy not to visit, it’s The Doge's Palace. This historical building, referred to by locals as the “Palazzo Ducale”, is responsible for making Venice the powerhouse that it was back in its glory days. 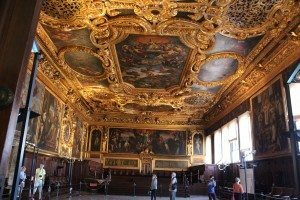 Within these palace walls, every major decision concerning Venice was made, since it housed the minds responsible for the formation of this great city. Of these minds, the most important one was the doge. The doge of Venice was their elected ruler, and normally one of the wisest of the elders. The Venetians steered clear of hereditary rule, so they elected this leader for life. This was to make sure that his rule was stable, and it protected them from the whims and changes that were brought by switching leaders too often. The doge lived in this palace as a tenant though, and it was understood that in order to prevent the temptations of corruption that could come with lifelong power, they had to check on him constantly. Even his mail would be screened and a committee would be there when he received foreign notables. The Doges Palace Venice began its construction as early as the 9th century, but what you see today is far from what its appearance once was. Fires and tragedies would destroy some parts of it, but they would be replaced and reconstructed by the best of artists at that time. Its architecture is mainly gothic, but it has elements of different periods too, like the renaissance. You’ll see its unmistakable shape as you approach Venice through the entrance by the sea, as they did in the olden days. This stood as a reminder of how powerful Venice was, and you’ll see it clear as day when you enter St. Mark’s square. The light colors of the building and lace-like stone appearance make it stand out like a beauty. When you enter the courtyard, you’ll see the Giant’s staircase at the far end. This was constructed in the 15th century, and it was built for ceremonial purposes—to crown the doges. On both sides of the staircase you’ll see statues of Mars and Neptune, to remind the people of Venice’s power over land and sea. 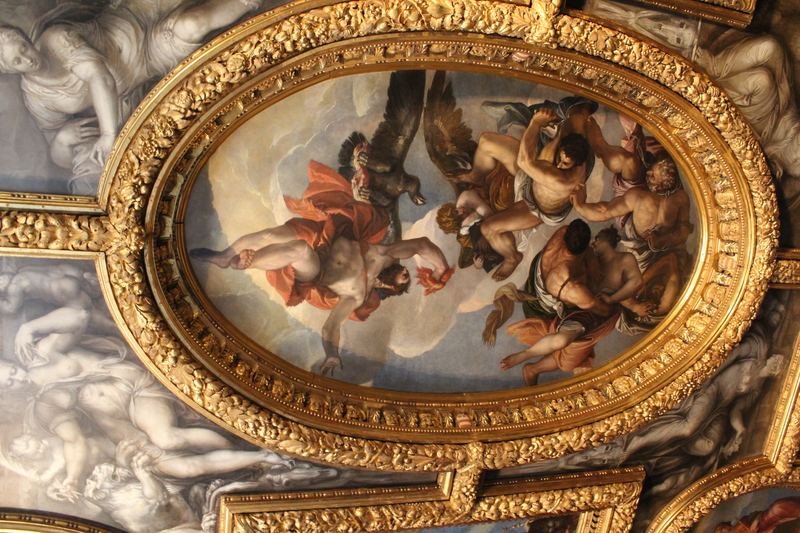 Some of the beautiful rooms you’ll see as you enter the building are the Stucchi rooms. 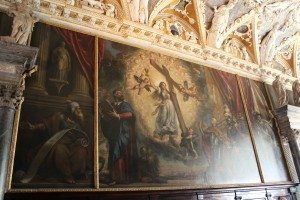 Here, paintings by Venice’s best artists like Tintoretto, Titian and Veronese decorate every corner. After this, you’ll see the ground council chamber where pictures of the past doges are displayed throughout the room. Try to look for the empty space where Marino Falerio should have been—he was executed for plotting to start a coup. Before you leave, be sure to pass the Bridge of Sighs. This small bridge connects the main building to the prison. It was given that name because prisoners would pass this bridge, take a last look at Venice from its small windows, and sigh on their way to the prison. You can buy a ticket for admission to combined museums in St. Mark’s square for 16 euros. And from April 1 to October 31, The Doges Palace is open from 8:30am – 7:00pm. However, from November 1 to March 31, it’s open from 8:30am – 5:30pm. You’ll be able to enter the building up to one hour before the scheduled closing time.